Life-long learning doesn't have to cost a fortune. I've put together a free 'summer study plan' that covers Cloud Native, Docker / Kubernetes, Data Science, Big Data, Blockchain and IoT - and best of all - it's free. Completing the courses will earn you badges on Acclaim that can be easily shared on social media. developerWorks Courses for courses and badges on Blockchain, IBM Cloud / Bluemix, Node-Red, Chatbots, Raspberry Pi, API Connect, Streaming, Docker and Kubernetes. I've completed the entire set - and I can say by far ' Cloud App Developer V2' is my favourite. 21 hours of self-paced hands-on training. The labs are excellent - and highlight the twelve-factor app methodology. Data Science and Cognitive Computing Courses on CognitiveClass.AI for learning paths on Containers, Kubernetes and IStio, Big Data, Python, R, Deep Learning, Analytics, Hadoop and Spark. I found "Applied Data Science with Python" to be a fun and exciting course. 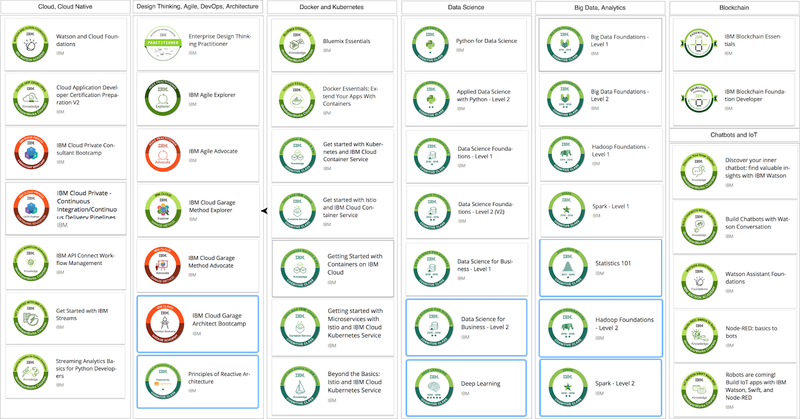 All the courses have hands-on labs, with tools deployed and available on the cloud through IBM Cloud, Data Science Experience or CogntiveClass Labs! CognitiveClass Labs - comes in support of the courses available on CogntiveClass.AI - providing access to data science tools such as OpenRefine, Jupyter Notebook/Lab, RStudio, Zeppelin Notebook, SeaHorse and more. IBM Watson Academy for courses and badges such as "Watson and Cloud Platform", "Watson Assistant", "Watson Discovery Service" or "Watson Knowledge Studio". IBM Garage Courses for "Garage Method Explorer" and "Garage Method Advocate"- an excellent series on DevOps, Agile, CI/CD, practices and tools. Watson IOT Academy - courses and badges on Watson IOT offerings. 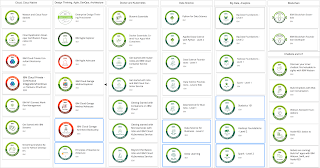 IBM Analytics Product Skills Validation - various analytics badges and courses - that usually build on top of existing learning paths. Katakoda provides interactive scenario driven labs and excellent courses on topics such as Docker, Kubernetes, Prometheus, Git, Jenkins, Istio, Machine Learning, Tensorflow and more. I highly recommend taking some of the courses here! http://www.fast.ai - free courses on Deep Learning, Computational Linear Algebra. If you want to try something hands-on, respond to IBM's Call for Code - and build an application to tackle natural disasters (hurricanes, earthquakes, floods, extreme weather, etc).